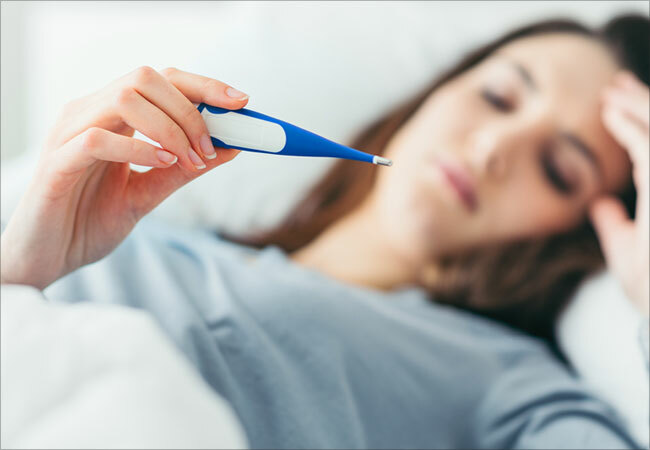 An unexplained fever that comes and goes may be a sign of autoinflammatory disease. Find out how these rare conditions compare to more common autoimmune disorders. You have a high fever, belly pain and achy joints. Your symptoms last for a few days, then disappear. It may be just the flu, right? But then your symptoms flare up again — and again. Then comes an anxious visit to your doctor. You worry that it’s appendicitis. Or even cancer. Instead, you get a puzzling diagnosis: autoinflammatory disease. What the heck is that? Autoinflammatory diseases reflect a problem with the rapid-response part of your immune system. This “innate” system typically responds to a threat in your body — injury or infection, for instance — by sending white blood cells to the site. That’s why you get redness and swelling when you scrape your knee. The result: Your innate immune system reacts for no reason, triggering repeated fevers and inflammation. How is this different from autoimmune disease? Fever is a defining characteristic. Recurrent, unexplained fevers are the hallmark of autoinflammatory disease. Autoimmune conditions may cause fevers but have other key characteristics. Symptoms come and go. “People with autoinflammatory conditions feel they spontaneously develop symptoms, which then spontaneously vanish,” Dr. Brown says. In contrast, autoimmune disorders produce longer-lasting, ongoing symptoms. How common are autoinflammatory diseases? “Autoinflammatory conditions are much rarer than autoimmune disorders like rheumatoid arthritis or lupus,” says Dr. Brown. Most are hereditary and can be traced to a genetic defect. The most common autoinflammatory diseases in adults are familial Mediterranean fever and adult–onset Still’s disease. What is familial Mediterranean fever (FMF)? This autoinflammatory disease is more prevalent in young people of Mediterranean ancestry (Armenian, Turkish, Arab or Sephardic Jewish descent), affecting about one in 200 with this background. Eighty to 90 percent of these people experience their first attack by age 20, and 50 percent by age 10. Fever lasts up to three days and then may disappear for weeks to months. Lung inflammation, painful joints, chest pain and severe abdominal pain — so strong you may confuse it with appendicitis — are common. What is adult-onset Still’s disease? Adult-onset Still’s disease affects men and women equally. Some doctors suspect that viral or bacterial infections are responsible. Cases of Still’s disease peak between ages 15 and 25, and ages 36 and 46. Fever can strike daily for a few hours, usually in late afternoon or early evening, and last up to a week. A salmon-colored rash appears across the body. A sore throat, achy joints and muscle pain may last up to two weeks. How are autoinflammatory diseases treated? Diagnosing autoinflammatory diseases can be a challenge. Their symptoms mimic those of other serious conditions, such as lupus and lymphoma. To be sure your condition is accurately diagnosed and managed, it’s important to consult a rheumatologist with experience in diagnosing and treating these rare conditions. Proper treatment is important because continuing inflammation can cause amyloidosis (a buildup of protein in the kidneys), leading to permanent kidney damage, Dr. Brown says. Doctors aren’t sure what triggers autoinflammatory flare-ups, but they can limit daily activities. 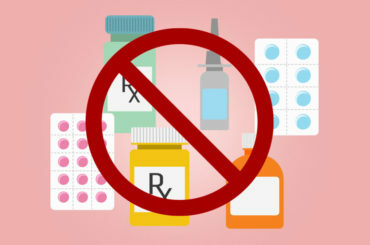 Medication can minimize your symptoms during these episodes. Are You Always Tired and Achy? My Hands and Feet Are Always Cold — Should I Worry?